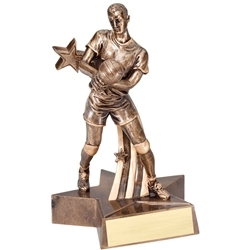 Male Volleyball Super Star Trophies. A great volleyball award that is perfect for any occasion. This sleek modern design shows a superstar in action. Available in 6.5" size. Made from resin.